The Union Cabinet has approved a Memorandum of Understanding between India and Myanmar for the conservation of earthquake-damaged pagodas at Bagan, Myanmar. These are Buddhist temples, typically in the form of a many-tiered towers, built in traditions originating as stupa in historic South Asia. The Cabinet Committee on Security chaired by Prime Minister Narendra Modi has approved the implementation of the first phase of reforms to be made in the Indian Army, based on recommendations of Lt. Gen. Shekatkar Committee. This is being done with the aim of enhancing combat capability and also optimising and rebalancing defence expenditure of Indian Army in a phased manner by December 2019. It is also the first ever reform exercise being undertaken in the Indian Army since 1947. Mahabaleshwar Sail, an eminent Konkani writer, was awarded the Saraswati Samman 2016. He was awarded for his novel Hawthan that captures cultural lives of traditional potter community in Goa. The European Union and India have agreed to strengthen cooperation between their security and intelligence agencies to combat the threat of terrorism. This deliberation took place during the 10th India-European Union Counter Terrorism Dialogue held in New Delhi. The US Food and Drug Administration approved first gene therapy, a treatment that uses patient’s own immune cells to fight acute lymphoblastic leukemia. The launch of IRNSS-1H, the eight navigation satellite of ISRO, was unsuccessful. Onboard the PSLV-C39, the satellite could not complete the 4th stage as the heat shield did not separate. The Reserve Bank of India released the Status of Return of SBNs Reserve Bank of India (RBI) Annual Report 2016-17, wherein it has been stated that around 99% of the demonetised notes have been returned to the bank. The biggest X-ray laser gun on earth named European X-Ray Free Electron Laser (XFEL) will begin operating from September 2017. It has the potential of shooting 27000 laser pulses per second. This 1.5 billion euro laser replaces FLASH in Germany. 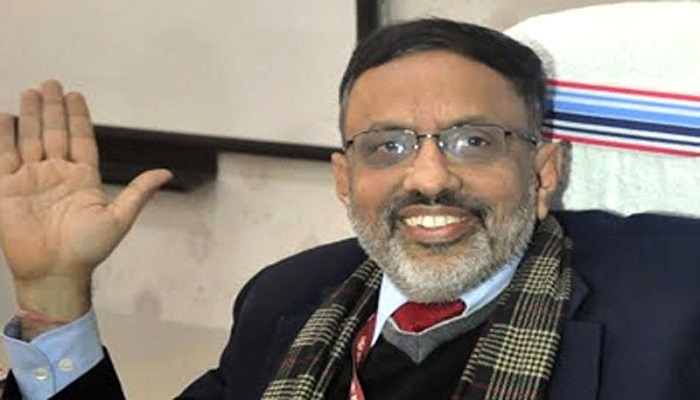 Senior IAS officer Rajiv Gauba has taken charge as the new Union Home Secretary. He replaced Rajiv Mehrishi. Amazon announced that it has partnered with the Akshaya Patra Foundation to implement the Ksheera Bhagya Scheme of the Karnataka Government. Under this scheme, school children of the city would be provided with a glass of milk five days a week.